Since I was so inspired by working on a group quilt at my guild, I'm creating a similar quilt but done in my own way. Each week, I feature a traditional block made Modern with complete instructions so you can quilt along with me! Then on Tuesdays, I feature the same block done up Traditional. That's two identical quilts, that aren't identical at all! Flickr groups (for inspiration! ): Update: I'm not sure if these groups are still active or not, but posting on IG is my preferred way of sharing online in 2017! 64 blocks which will make a 64" square quilt with the setting I chose (see below). 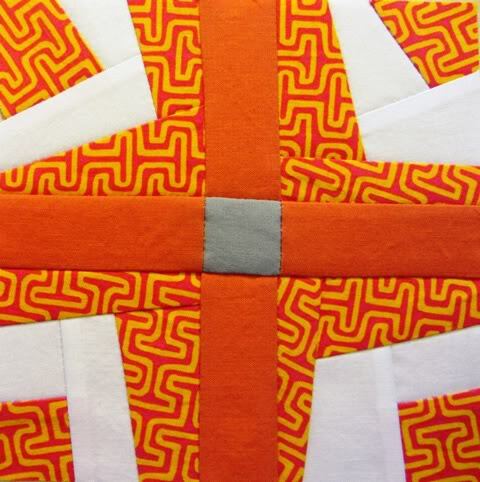 For my Modern quilt, I'm using a variety of orange solids, orange prints, grays and white. I might throw in some blues occasionally because I like the orange/blue combination. Of course fabric selection is subject to change at my whim, and you are free to do what makes you happy. Keep all your scraps as you go. Sometimes the scraps might make a cool improv block all in themselves! If you want a larger quilt, consider making each block twice in different colorways. 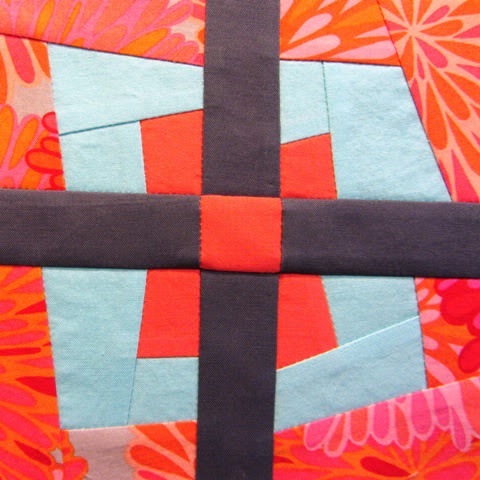 For example, you could make one block in the orange and the second block in it's complement - blue! I think that would make a very interesting quilt! And as always, if you don't like one of the blocks, punt and do something else! You don't have to follow my directions exactly! Click on the caption below each block to be taken to the instructions.